Estepona Bus Station is on the outskirts of Estepona between Macdonalds and Carrefour just off the A7 coast road. The Estepona Bus Station is on the outskirts of Estepona in a small but modern building just off the A7 coastal road between Macdonalds and the big Carrefour hipermarket. Please note that the M220 Portillo bus serving all the bus stops between Marbella and Estepona does not stop at the Estepona bus station. It stops at Macdonalds just before the bus station and then again in the centre of Estepona. It then turns around and returns to Marbella travelling on the opposite side of the road from the bus station.. 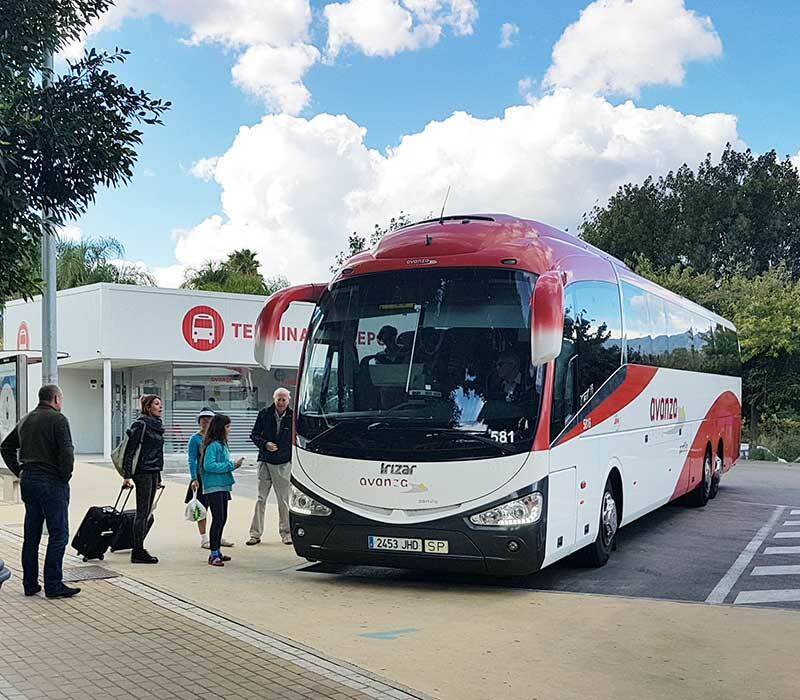 The long distance buses from Malaga bus station or Malaga airport will stop at the Estepona bus station but not stop at any of the intermediate stops. If you are arriving on a long distance bus with a suitcase then take a taxi from the taxi rank next to the bus station to your destination. You have two possibilities of getting from Estepona to Malaga airport. First you can travel on the direct bus leaving from the bus station and stay on the same bus all the way to the airport. The second possibility is to take a bus from over the road or in the town centre to Marbella bus station and then pick up the regular shuttle service from there to the airport. Read my suggestions in the link above.